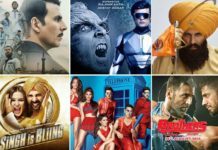 List of Akshay Kumar upcoming movies to be released in 2019, 2020 with the release date, star cast, budget and other details. Akshay Kumar is one of the most prominent actors of Bollywood along with Salman Khan, Shah Rukh Khan, Aamir Khan and Ajay Devgn. 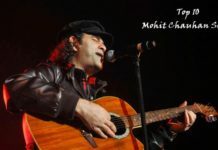 He is the most versatile actor of Bollywood when it comes to the genre of movies attempted by Bollywood actors. In a career span of 28 years, Akshay Kumar has been quite inconsistent as far the box office numbers of his movies are concerned. However, in the last five years, he has improved his success ratio drastically. 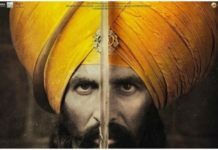 Synopsis: Kesari is based on the Battle of Saragarhi. It is considered one of the bravest battles fought in India. The trailer has received a good response and we are expecting the movie to become a big hit at the box office. 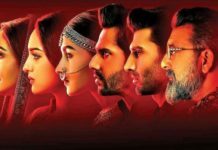 Synopsis: Mission Mangal tells the story of scientists at Indian Space Research Organisation who contributed to the Mars Orbiter Mission. 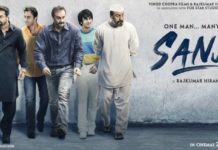 Synopsis: The film will be a light-hearted comic-drama based on surrogacy. Akshay and Kareena are reuniting after a series of movies like Talaash, Bewafa, Aitraaz and Gabbar is Back. 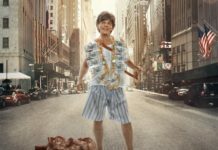 Synopsis: Housefull 4 will be the fourth film of the famous Housefull franchise. It is themed on reincarnation. Housefull 4 will be the most expensive comedy movie of the Indian cinema. 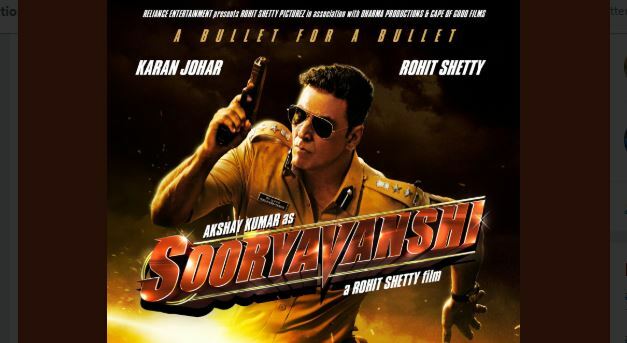 Synopsis: Akshay Kumar to play ATF officer Veer Sooryavanshi in the movie. It will be a typical Rohit Shetty kind of masala action movie. Beside these confirmed releases, Akshay Kumar’s name has been associated with some movies. However, the official announcement is yet to be made. Let’s have a look at those movies. Synopsis: It will be a biopic on king Prithviraj Chauhan. More details about the movie will be shared soon. Synopsis: After a long delay, the third instalment of Here Pheri series is certainly on track. As per the reports coming, Akshay, Sunil and Paresh will reprise their roles in Hera Pheri 3. Synopsis: If reports are to be believed then Akshay Kumar has signed the Hindi remake of Tamil horror comedy movie Kanchana 2. If it turns out to be true then it will be Akshay Kumar’s second horror comedy after Bhool Bhulaiya. 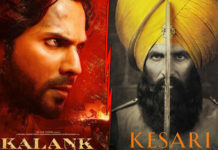 I am very excited about Kesari and Sooryavashi. Which of Akshay Kumar’s upcoming movies are you waiting for? Share your thoughts with us in the comments section. 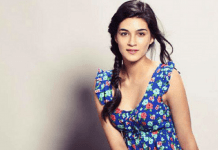 First time in Indian history Spain actress playing the lead role in Paharganj the film. Am very exciting to watch this film on a big screen. 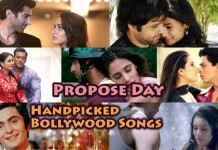 Because these movie songs very nice trailer also touching my heart. Note the date 12th April Must watch. Akshay Kumar is my ideal actor. i watched all movies. every movies is super duper hit. I just love AK movies, thanks for that awesome information. Akshay Kumar is my best actor.I like his acting skills. Good information ..very interesting website..
Akshay has not signed these films yet. What about herapheri 3, awara paagal deewana 2 ? Khan se to acha hi hai. kamse kam patriotic flim karta hai. I like you ..bcoz u love ur family and respect ur parents. And i love u when u smile. 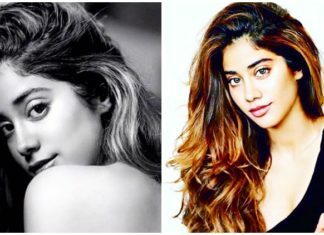 Akki sir mujhe apki sari movie bahut achchi lagi kamna karta hu ki aane wali bhi kafi achchi hongi. I am your big fan sir. axay kumar is the most handsome talented and fit hero of Bollywood. 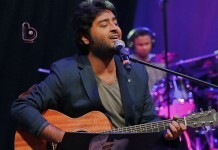 i love axay and i am biggest fan of his. i always saw his movie i love you axay. i love Akshay kumar my best actor. Akshaya kumar is best hero of this bollywood industry. he is a real superstar and heart winner performer. I am big FAN of Mr. Akshaya Kumar. Akshay is best actor and khiladi. i love you akshay sir you are great man . I Very Love Akshay Kumar. I Love His ALL fILM. I Very Like His All Style. aapne life jine ka tarika btaya h muje…. Njaan akshay kumarinte valiyoru faaan aanu. I'm a fan of SRK. But I respect Akshay more since child hood……. Akshay sir release 4-5 films every years but he sustained in in Bollywood as a superstar. but if Khan’s releases 4 films in a year they could vanished long year back only.its not easy to do multiple films in year. Akshay Kumar is the best talented of all are bollybood hero & really best actor and I am also like khilad of his bollybood of akshay kumar uts must be talent and also talent acting so much good …………………………………………. 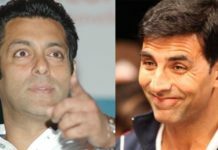 allrounder khiladi hai bhai pure Indian cinema ka. allrounder khiladi hai bhai pure Indian cinema ka.akshay kumar is best the entertainer of world. After watching the tremendous performance of Akshay in Airlift, now every one is waiting his next movie house full 3, in which he play a comedian role which he play fantastically. Akshay not only the best actor, he is a good moral character also. akshay Kumar is the baap of bollywood. Akshay kumar sabse bade khiladi he. My nnumber one favorite best actor . Akshay kumar and his airlift is my best actors and movie. Akshay kumar is my best actors. Akshay is best actor in all over bollywood..
watched airlift very good.. now waiting for housfull3…. Indas best telented actor akshay kumar…. Akshay sir you are the best actor in Bollywood …. Sir you are the king of comedy….. Yes Akshay kumar is the Real khiladi of bollywood…..nd i m also big fan of Akshay kumar……!!! akki u r the best actor ….of boolywood .. i am big fan of u..really…. I am big fan of akshay kumar. he is the best actor bollywood. akshay kumar the best my super Hero………………….. Comment:akshay kumar the baap of bollywood. Akshay kumar my favorite hero.. I love my super hero. Comment:i am big fan of khiladi kumar………i love you akki bhai……. Comment:One nd Only Meghastar Naam hai akshay kumar aaya jeet ne pyaa. I am strongly wait for house full 3 Rawde rator and Namaste lundon because I like Akkshy kommar…. Akshay is a best best best actor of bollywood.MY FAVOURITE ACTOR AKSHAY KUMAR..
Now in Brothers, why did Akki have to display grey hair and white beard to show that he is Siddharth’s elder brother. In no Hindi movie ever did anybody take a chance like that. Now who will like it if the older brother looks like a grandfather himself and beats the younger brother. Even in Warriors they did not show the older brother with grey hair and looking old. That is where things are going wrong for Akki. Baby and Gabbar is back were excellent movies and had the potential to do a business of 200 crores to 250 crores. But it is all because of Superstar Akshay Kumar’s fault. In the last six months Akki was seen everywhere in a salt and pepper, greying hair, white beard look off screen at every function, public outing, screening music release, etc. He looks good as an old man too but, the Indian audiences will reject such an ageing star. Baby and now Gabbar is Back have done good business because of the story, editing and direction and word of mouth. Not because of Akshay Kumar, however good he was in the movie. I don’t understand why a handsome, fit and a young looking superstar like Akki would want to throw it all away by going ahead and donning the old man look. Akki is much fitter and younger looking than some of the new, young stars on the horizon. A lot of success of a superstar depends on how he presents himself. So why is he doing this? Does he not care for himself, his producers, his distributors, exhibitors, his financiers, the studios and above all fans like us who add to his success? Akshay Kumar is stupid to have done what he did. To be seen in as an old man. Now the audiences have a perception of him as an old haggard man. Not the stud that was Superstar Akshay Kumar. That is the reason that Baby and Gabbar is Back could not bring in the desired first weekend collection which the other young looking Khans, Roshans and Devgans bring in. Akshay Kumar himself has written the epitaph of his superstardom. Now he can never play a lover boy or a young man. He can never do a Namastee London2 or a Dhadkaan 2. Audiences will not accept him. It might be too late to change his looks and look younger. I am sure it would not be difficult for him at all , as he is one of our fit and young looking actors. In the past Akshay used to look good, young , tall, handsome and piping hot, but he did wrong films. But now he is marvelous and best in roles where he does not laugh and beats the antagonist black and blue and wins. But he is getting his look all wrong. 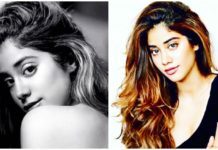 First off screen and then on screen. Now if Brothers fail Akki should be magnanimous enough to take on the blame on his strong shoulders as with his old man look, he is destroying himself and people associated with him. Is this the end of the one man parallel film industry called Superstar Akshay Kumar. The one who for the last years had 4-5 films a year and whose films used to generate and contribute enormously to the hindi film industry particularly and Indian film industry in general. Akshay walking around and seen at most public functions in a salt and pepper white beard and hair and looking like a haggard old man, for almost a year and a half. Gone is the youth icon that, youth in particular and people in general could get inspiration from. People thought that they could be handsome, fit and youthful if they adapted to a health conscious diet like his. All that is now past . Akki has snatched away the hope of millions by his new old man look. Now with John Abraham taking on Akki’s roles and his franchises, I think we are witnessing an end of an era, of the great versatile hero that was Akshay Kumar. 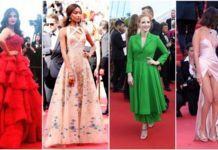 We cant blame the film makers and John, as they want to carry the sequels forward with heroes who look youthful image, and heroes who are seen old and haggard in public can affect that image). I think that Akki has graduated knowingly and I don’t understand the reason as to why he did it, to the levels of Amitabh Bahachan, Paresh Rawal, Om Puri, Naseeruddin Shah and so on, who plays old men and father roles. Now I don’t think Singh is Bling will be a great success because of Akki’s public image of being an old man. And it only makes sense for exhibitors to give more space to more youthful looking heroes like Irrfan Khan and Superstar Vijay for their films Talvar and Puli. And Akki still does not listens to his fans and stop being seen old. So it is the death of a Supernova………RIP Superstar Akshay Kumar…. Akshay Kumar did a great mistake by walking around and to be seen in public, for almost more than one and a half years, in salt and pepper, grey hair, mustache and body hair. He took away from the Indian youth in particular and public in general, for him to be seen as an idol who can look young, fit and handsome even in their late 40s. His disciplined lifestyle and approach to be fit the healthier way was in inspiration to millions of youngsters. His achieving the super stardom in the film industry even though being an outsider was a beacon of hope for lakhs of strugglers in the industry. He looks younger and fitter than even the youngest of stars. Then why did he have to destroy all that. Akki looks hot and handsome even as an old man. But in India once seen as old and haggard, then people will stop imagining you as young and heroic. Unlike in the west. And Akki will not be able to overcome that. He was an inspiration to millions. In spite of repeated appeals from his fans and well wishers he did not stop his old and haggard public appearances. He continued to be seen like that. And what happened. Baby and Gabbar which had the potential to do at least 150 and 200 crores earned just 95 and 85 crores respectively. These films made the paltry profits and became small hits because of the story and direction not because of Akki’s star power. In Brothers people could not be convinced that an old and haggard Akki could beat up a young and strong Siddharth. And it was not convincing that Akki was looking old when they were just a few years apart in age. His fascination to be seen old made the makers cast him with grey hair in the movie and that is one of the reasons for the failure of Brothers. Now a days Akki, I think with all the backlash and the failure attributed to his old man look is making an effort to be seen young and handsome which is marvelous like in the interview with Rajeev Masand above. But I think the damage is done. As he has been seen too often in the old and haggard avatar for almost one and a half years. And it will be impossible to wipe out memories easily. This is his biggest goof up in his career ever. I think it is the death of one of the fittest, youngest looking, handsome. tall, macho Superstars ever. If not the best that we had. RIP. Akshay Kumar is the only superstar who has 4-5 movies releasing every year. In 2007 Akki gave 4 back to back hits with Namaste London, Hey Baby, Bhool Bhulaiya and Welcome. Most superstars do only 1 or max 2 movies in a year, fearing overexposure and they know that it will be difficult to give superhits if they release more than 1 or 2 movies a year. 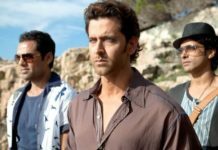 Some like Aamir and Hritik give 1 film in 2 years. And they earn money from the Advertisments that they do. But Khiladi gives us 3-4 movies a year.And puts his Superstardom on the line every year. Some times he wins at other times he loses. And that is why he is called a Khiladi ( A Player). He plays because he likes the game.Winning and loosing is part of the game. In 2013 he has had 5 releases yet out of which 3 are being blockbuster earners( Housefull 2, Rowdy Rathore and OMG) and one an average hit ( Khiladi 786 -loved by mass audience) and one flop(Joker). In year 2014 he has Special 26 which was loved by critics and was successful as well. Once Upon A Time In Mumbai Again and Boss flopped but OUATIMA was a good performance and it did badly because of bad timing as Sharukh played foul with the release of Chennai Express. Last year he had Holiday which was apreciated by masses and classes and made it to the coveted 100 crore club. by children and adults alike and was also an average success(75 crores) . Its Entertainment also got the highest TRP when released on TV. It is one of the best watched films even among young children. The Shaukeens was an adult comedy but still was not crass and vulgar like most adult comedies. And though Akki played a special apperiance and it was a movie of 3 old men, the film was not a complete washout as it still recovered its investment.Critics also loved Shaukeens. This year saw the release of his highly anticipated Baby directed by talented Neeraj Pandey. This film is the best film made ever in its genre and has floored all major critics and audiences. And it has achieved its glory. I think it will be remembered as a good spy movie. The movie was a Hit at box office also. Then came Gabbar is Back which had a very dangerous but very important message. The film was liked by a lot of critics and audiences just loved it. The film was a Hit. Then came Brothers which had the honor of having the trailer been liked by millions and had a great opening. But it had a very urban theme and Indian audiences could not relate to its basic story line. And Akki being shown with grey beard and salt and pepper hair though he is the hero and only a few years older than his brother Siddharth was another detriment for the film. 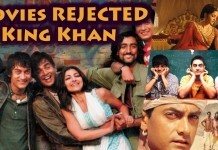 And no one could relate to maybe and old and haggard Akki as portrayed in the film bashing a young and tough Siddharth. So the collections fell. But still it covered the costs in India and was a commission earner. While it did well abroad. and economics in the film industry and hence he is called a Parallel film industry in himself. modeland superstar. He is also the highest Income Tax Paying celebrity, for many years in a row. everyone will still love him. He is India’s pride. an envious track. Akki is truly a one of the best versatile actors ever in India. Hats off to you Akki. 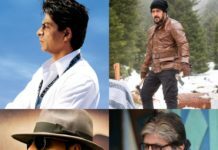 salaman, sharukh, & amirs khan ka movies tho bharat se bhar b chalta is leya kama le the..
Duniya me koi aisa roll nahi Jo hamare superstar akshay Kumar na kar sake .. I love you sir ‘. Lovely perform..
akshay kumar is a real hero…………………….mega star in bollywood……. Akshay is my best Action and Comedy hero. Akshay is my favourite KHILADI. Akshay kumar (Akki baba) is big big superstar Hero in World………. rajiv bhatia/akki/akshay kumar is the best actor in the world. sir life me ek bar apse bat karne ki khwahish he. Ho sake to aap mera msg jarur padna. Akshay sir i m a biggest fan of u.
Gar kabhi life me apse milne ka chance mile to jarur milna chahungi. I will pray for it. king of khiladi is back now brothers and singh is bling…. akshay is one of the best actor in the world …..
Hai sir iam yours big fan … I love ur actions a lot by seeing ur lots of films of khiladi series and others like new latest movie rowdy rathore and khiladi 786 and 2015 latest movie gabbar is back. U r 3in1 I mean u r doing 3 types of character such as…. Action,social,romance, As well as comedy. You only the actor in Bollywood to do this types of character and you fantastically fitted for the all character that may cause danger. Like stunts…. Such u r real khiladi of Bollywood. I love u and like u a lot. Me and my 2 kids has such a great fan of akshay.also we watch akshay every movie.we luv u sir………..
Akshay is the best nobody comes close ! AKSHAY IS BEST ACTOR OF BOLLYWOOD. I LIKE SEE AKSHAY PICTURE. I AM BIG FAN WITH AKSHAY.